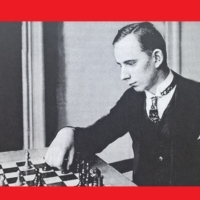 John Sharples goes far beyond the conventional and off into another dimension in his A Cultural History of Chess-Players. The breadth of the landscape he traverses and the leaps of imagination he makes are matched by the elegance of his prose. Reading the book is like putting down a smartphone and sitting back in an armchair sipping a fine brandy in front of a crackling fire. It takes time and effort, and it is admirable that someone is still writing books that make you think in this era of instant gratification. 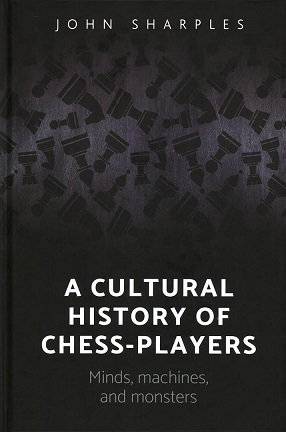 Those expecting a comprehensive survey of chess players’ role in culture may be somewhat disappointed, but this book can be appreciated by anyone with an open mind and a love of philosophy. 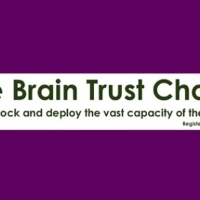 One of the central points Sharples makes is how chess is a barometer measuring human fears and achievements, as the fruit fly is in the study of biology. He approaches almost all the chess stories he analyses from this perspective. We project our own psychological issues onto the figure of the chess player, creating a multifaceted and fragmented narrative depending on whether we are worried about war with Russia or a robot takeover. 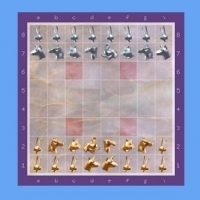 The real chess player is secondary to this shapeshifting, crowdsourced image. This is strong stuff to swallow, but if you can accept it, enjoy it or get past it then there are also many observations about the actual historical events. Sharples interestingly looks at the Turk as if it were an automaton rather than a trick object with a human player inside, because the way it was perceived tells us about how people in the late eighteenth and early nineteenth centuries reacted to the concept of automatons. This follows on from earlier fears that if animals could play chess, humans would have difficulty defining what made them superior. ‘Considering William Gibson’s illuminating and destructive image of the future as “the line of dawn rushing through the desert causing stones to explode”, chess encounters between human and machine seemingly foresee a posthuman advent, representing something supposedly human-centric outside of the human mind and body, and recalling a prehistoric shock,’ Sharples writes. 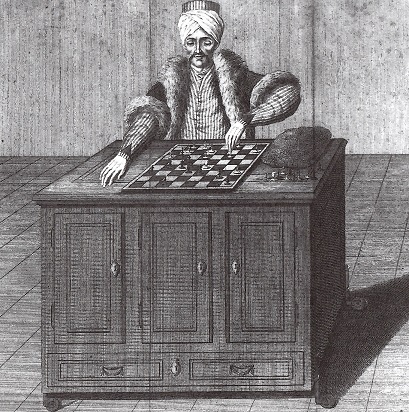 Most people who saw the Turk perform were sure that it had to be a deception, precisely because chess ought to remain exclusively within the realm of human thought. An 1819 pamphlet commented that it seemed ‘to be a thing absolutely impossible, that any piece of mechanism should be invented, which . 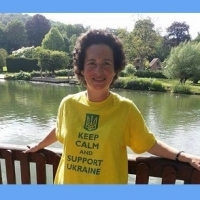 . . should appear to exert the intelligence of a reasoning agent’. Chess demands ‘the constant exercise of acute judgement required in anticipating the designs of an antagonist, or in frustrating those which cannot be foreseen’, it said. 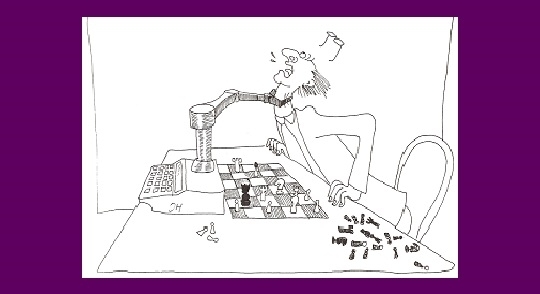 And when a computer really can play chess, what should we think about it? Sharples draws attention in particular to Kasparov’s sudden walkout when he lost his final game against Deep Blue. Kasparov had represented the whole of humanity in the battle against machines, and was stunned by his failure – suggesting afterwards that the computer might have had human help. Now instead of being praised for a victory, Kasparov could only be praised for showing emotion, defending the human race by exhibiting something else that a machine does not have. But today, 20 years later, AI robots are being taught emotions. Where does that leave us? Ironically, Kasparov is now a passionate advocate for AI – something that might have been worth mentioning in the book. 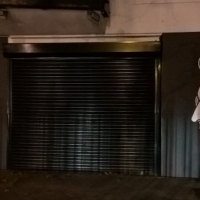 I saw him giving a talk on AI at Oxford University in 2015, in which he bluntly said that Stephen Hawking was wrong in warning that AI could be the greatest threat humanity has ever faced. Unfortunately, Kasparov gave no insights into why Hawking is wrong. It seems that thanks to his matches against Deep Blue Kasparov is in demand as a speaker on AI, and so he has transformed himself into someone who loves the thing that so shook him up when he experienced its power. That power has already multiplied unimaginably since then. The other major chess event that Sharples writes about is the rise of Bobby Fischer and his World Championship match against Boris Spassky. Here his observations are more standard and offer slightly less to chess-playing readers who may be very familiar with the story already. 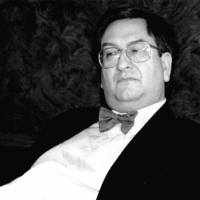 Sharples points out the contradictions between Fischer wanting chess to get the status it deserved, wearing sharp suits and demanding large sums of money, and his hostility towards the television cameras that were necessary in order to provide that status and money. 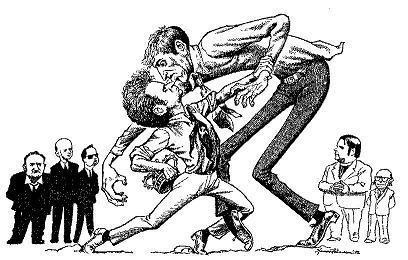 At the same time, to the average American Fischer represented both an eccentric former child prodigy and a hero battling the Soviet machine. Fischer became a composite figure. Perhaps it is unsurprising that he descended into madness – although it is a shame Sharples doesn’t address this, or contrast him with Paul Morphy. 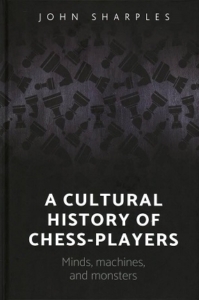 A Cultural History of Chess-Players is an intoxicating blend, with only a few flaws. There are some aspects of chess that I really think deserved some consideration. Firstly, women in chess. Sharples states that chess players are usually imagined as white men, and nearly all of his featured characters are white men. But he doesn’t ask about where the women are, who they are, how they are perceived, and why there are so few of them. 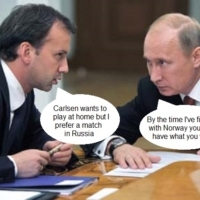 Secondly, he also says that he will be looking at chess players in the Western world, but it would have been interesting to read his take on Soviet and Eastern European chess players, who have a very different status from our more casual and individualistic players. Thirdly, I would have liked to understand more about why when chess players feature so regularly in Western culture they are so marginal in real life. Sharples does touch on this, but perhaps could have written more about ordinary chess players as they are and as society views them. This is reflected at the primary school chess club where I help out, where some of the children still don’t know which way round the board should be and sessions are usually noisy and chaotic. Chess in Britain is seen as something to do for fun, and anyone who wants more has to study alone, isolating themselves from their ‘cooler’ peers. To explain this by the fact that chess has no use outside of itself is not enough, because netball is taken far more seriously at the school. There is not a single reference to any specific chess moves in Sharples’ book, and readers will need to have an appetite for many subjects outside of chess. If you do, you will be more than satisfied.